The website builder offers vast flexibility in building and personalizing. Various form fields are available to collect information in the form that you desire. Text An open field for short answers (max: 100 characters). Paragraph An open field for long answers. Dropdown Dropdown Menu can have multiple options. User can only select one option. 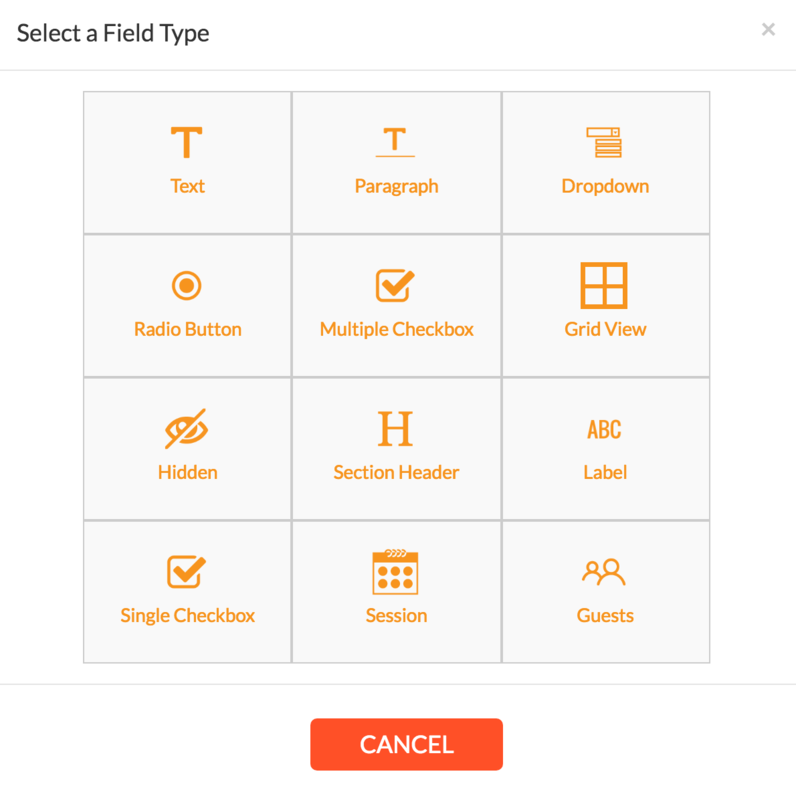 Radio Button Displays multiple options. Users can only select one option. Multiple Checkbox Displays single or multiple options. Users can select as many as necessary. Hidden A text field that does not appear on a website or app. Can be left empty or have a default value that submits with each user entry. Label Field used as a title. Single Checkbox Single checkbox option, usually used for opt-ins. Session Grid or Dropdown Menu options to display session information. Users can select one or multiple sessions from Grid view, and only 1 selection from Dropdown Menu. Guests A dropdown for consumers to select how many Guests they're bringing. The number of guests selected counts towards their selected session's capacity.